With successful careers as Chartered Accountants for several years, husband and wife team, Laura & Steven Mearns decided it was time to fulfil a life-long ambition to own their own business. In January 2009 Laura and Steven became Northwood franchisees and launched Northwood Lettings Aberdeen in the heart of Rosemount. With her own property portfolio, Laura was passionate about the lettings industry and she was particularly attracted to Northwood’s Guaranteed Rent Scheme which she believes sets them apart from other lettings agents. The scheme means that landlords receive fixed monthly payments regardless of whether the property is 'let' or 'vacant' and even if the tenant stops paying. The scheme gives peace of mind to those who work abroad, have a mortgage to pay for or who are new to the lettings market, as they can rest easy that their rent will be paid. Northwood have over 18,000 landlords signed up on the guaranteed rent scheme. Coming from a client facing background, Laura’s skills mean that she has the ability to understand her clients’ needs and build strong relationships. Laura and her team are dedicated to lettings and know the Aberdeen rental market inside out. Local ownership ensures a commitment and dedication to its success, which benefits customers in terms of the service that they can expect to receive. In 2015 Northwood Lettings Aberdeen moved into larger company owned premises back in the heart of Rosemount where it all began. Matt Pullinger, Director and Branch Manager, supports Laura with the day to day running of the business and daily management of the branch and ensures our team of local property managers guide our Landlords and Tenants through the process of letting in Aberdeen. 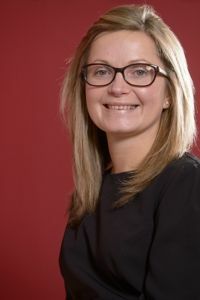 Commenting on the Aberdeen rental market conditions, Laura noted that the collapse in the oil price has had a significant adverse impact on the market in recent months. Properties that are marketed well, priced competitively and maintained to a high standard are moving well and seeing good demand. Other areas of the market have seen increased times to let and larger properties are seeing some noticeable falls in the average price per bedroom. 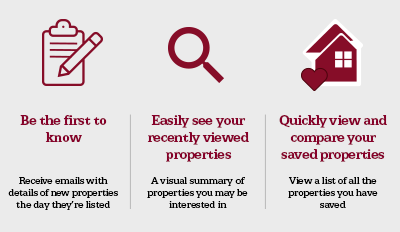 They key remains to stand out from the rest due to the choice available for tenants. For more information regarding the Aberdeen rental market or our guaranteed rent service please get in touch.